Ships tomorrow if you order in the next 19 hours 4 minutes. Revered for both its religious significance and supportive effect on health, frankincense has been used for centuries among diverse cultures. 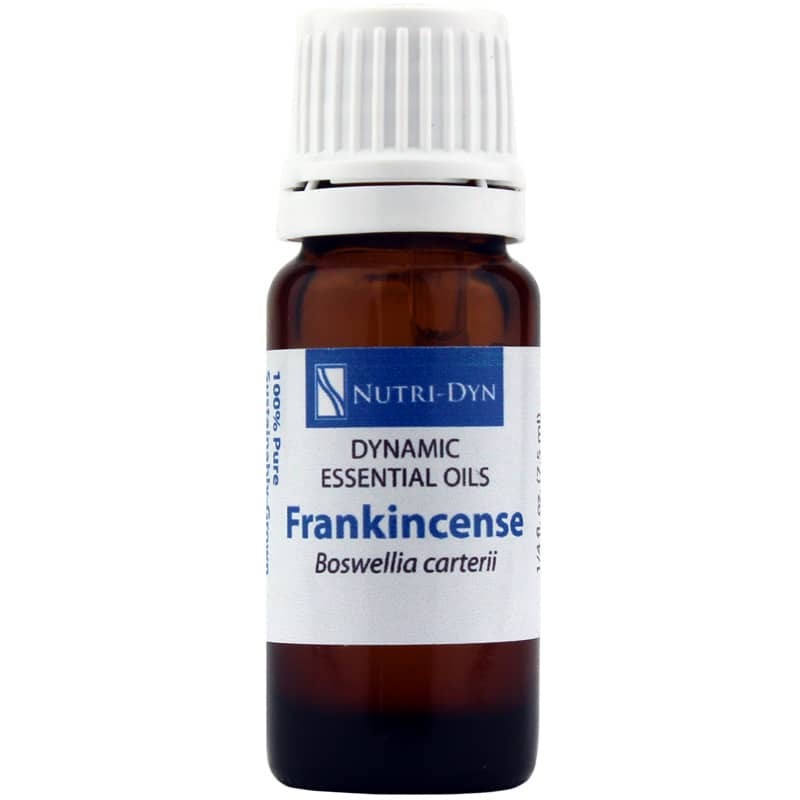 Capture its time-honored power with Frankincense from Nutri-Dyn's line of Dynamic Essential Oils. Nutri-Dyn's Frankincense is a 100 percent pure and sustainably grown essential oil that offers spiritual support along with physical effects like encouraging a healthy internal response. Derived from the sap of Boswellia trees in Africa and Arabian regions, Frankincense has a history of use in religious ceremonies to enhance one's spiritual connection. Accordingly, inhaling Frankincense may be very comforting and help you overcome stress, anxiety and anger. It may also support several facets of physical health. With natural astringent properties and the ability to support healthy cell regeneration, it may support healthy gums and hair roots and help with recovery from wounds, acne and insect bites. For a soothing and grounding experience, diffuse Frankincense by itself or combine it with other essential oils for a unique blend that's all your own. For optimal health, support your sense of well-being. Order Frankincense today.